Since 2000, Tapisserie Royale has been applying our unique artisan skills, breathing new life into Aubusson’s historic tapestry, fine carpet and restoration industry. Each of the Aubusson tapestries and carpets from the Tapisserie Royale are made entirely by hand, with techniques dating back to the reign of Louis XV. They are based on original artworks, and the colours are set thanks to the unique properties of Creuse River water. We can offer a wide range of fine tapestries, weave-your-own tapestries based on paintings by our artist, and fine carpets. Whether you’re looking for an antique, modern or contemporary model, you’ll find the perfect product for you in our catalogue featuring more than 600 carpets and tapestries. If you wish, we can even create a tapestry from one of your own templates. We can also provide a free, personalised quote for the service. Contact us today, so we can work together and find the ideal solution for your interior. With the Tapisserie Royale in Aubusson, you’re guaranteed the highest quality products and services. The Tapisserie Royale in Aubusson offers unique expertise in the production and restoration of fine tapestries and carpets. We can offer more than 600 models of fine Aubusson tapestries. Whether you’re looking for something antique, modern or contemporary, the Tapisserie Royale can offer you a full range of tapestries: hand-woven, silk-screened, Jacquard-weave or even weave-your-own models. Each of our weave-your-own products comes with wool dyed in Aubusson and a backing canvas, either hand-painted by our artist or printed on white Pénélope weft. 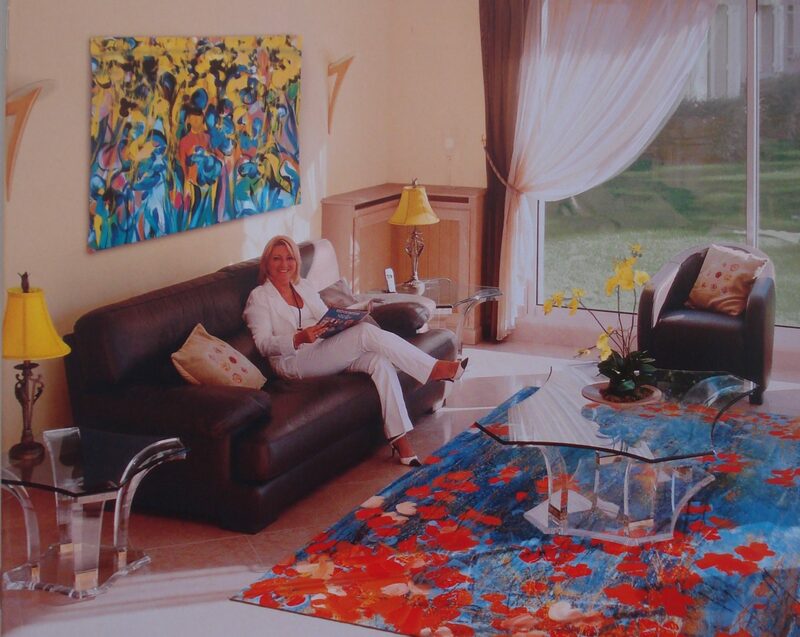 Produced by specialist artists, Tapisserie Royale carpets are, like our tapestries, real works of art. These unique items will add warmth and character to your interior. A central feature of an interior, our Aubusson carpets create a special kind of intimacy in both classic and contemporary surroundings. Authenticated by a certificate of origin, each of the Tapisserie Royale’s Aubusson carpets and tapestries is an investment which will stand the test of time, in addition to being a modern and original element which will imbue any interior with prestige and authenticity. We take great care over the restoration of your Aubusson fine tapestries and carpets. Aubusson, the world capital of hand-woven tapestries and carpets, is listed as a Unesco immaterial and living heritage site since the 1st of October 2009. It has been home to more than six centuries’ worth of tradition and expertise thanks to the skill of its artisans and tapestry weavers. This truly is a French art form of the highest order and has earned a reputation for excellence around the world. We strive to perpetuate this reputation through our restoration work and our own creations. When we restore your carpets and your tapestries, we ensure that we respect the ancestral techniques used to create it. This allows us to restore its original lustre and beauty. We work exclusively by hand, carefully selecting the wool to use and adapting our interventions to the age and condition of your tapestry or carpet. 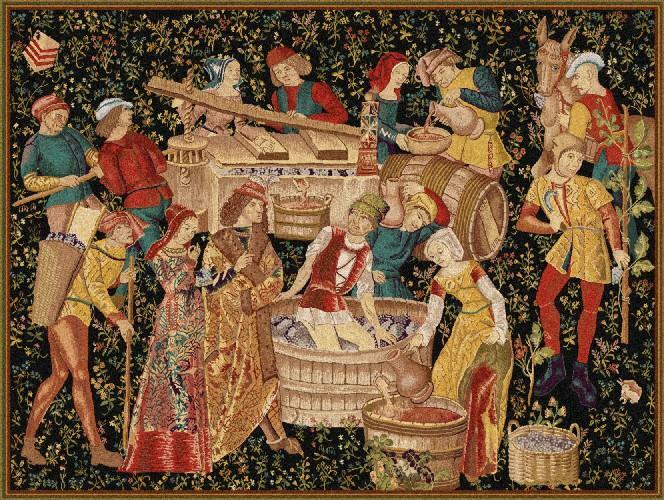 For more information about our approach to tapestries and carpets in Aubusson, please take the time to browse the various pages on our website.